For some reason that no one but Vince McMahon will ever know, WWE will present the first-ever (and hopefully last-ever) Great Balls of Fire (gag) event live from Dallas. Just when you think WWE is making progress (Raw, SmackDown and NXT were all headlined by women’s matches last week), they bust out a ridiculous name like Great Balls of Fire (sigh). Henceforth, Sunday’s event will be referred to simply as GBOF. While the name is awful, GBOF looks, on paper, to be a compelling show. If the matches live up to their potential, it could be the best WWE offering of the year thus far. Instead of trying to predict what WWE will do Sunday, I’m simply going to tell you what should happen. Consider this to be the study guide for the GBOF exam on Sunday. Neville vs. Akira Tozawa (WWE Cruiserweight Championship) – Since Austin Aries was unable to steal the Big Purple Belt from Neville in a feud that went all the way back to WrestleMania, WWE needed to find a new legitimate contender to face the King of the Cruiserweights. Enter Tozawa, who has a good look and dynamic offense. Unfortunately, he’s got some connection with the Titus Brand, which will ultimately ensure that Tozawa never rises above the midcard. (See Crews, Apollo.) Neville should go over here, but let’s hope that this match elevates Tozawa instead of sends him into exile with Aries, who hasn’t been seen since his last loss to Neville. Don’t be surprised if a match between Finn Balor and Elias Samson or a bout between R-Truth and Goldust is added to the card at some point. Enzo vs. Big Cass – When this match was first announced, my instinct told me that Cass would destroy Enzo and begin his push as WWE’s latest monster heel. Then, Enzo grabbed a mic on Raw this week, and changed my mind. I love Enzo, and his shtick on the mic is consistently entertaining. On Monday, he showed a new side to his personality. While he still hit all of his catchphrases, he sprinkled in enough C.M. Punk-style truth to make the promo fascinating. I still expect Cass to win, but I think Enzo will put up a good fight, and will eventually be a relevant solo act. Seth Rollins vs. Bray Wyatt – There’s nothing official at stake in this match, so it’s possible that Wyatt will actually win. This seems like an effort by WWE to keep both men in main-event level spots on the card. I’d like to see Wyatt win here in order to keep him relevant and let him move on to a new feud. 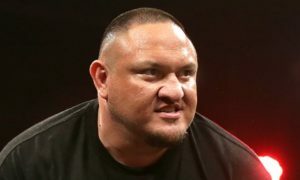 He’s stated that he intends to get his revenge on every other member of the Fatal Five-Way match that made Samoa Joe the No. 1 contender for the Universal Title. It would make sense for him to beat Rollins and move on to the next victim (anyone seen Finn Balor lately?). However, one of these men is on the cover of the new WWE 2K18 game. One isn’t. You do the math. Braun Strowman vs. Roman Reigns (Ambulance Match) – Get used to it, WWE Universe. At some point, either at SummerSlam or at next year’s WrestleMania, Reigns is going to take the Universal Championship again. He’ll probably hold it for a good long while. That said, he doesn’t need a win here to accomplish that. Reigns has already announced himself as the No. 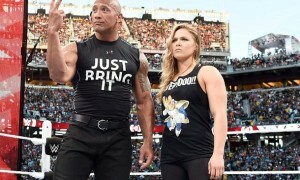 1 contender at SummerSlam. In reality, this match has no bearing on that. If WWE wants Strowman to become the next version of Lesnar, the monster who is to be feared at all times, he needs to win this match. Reigns and Strowman have delivered many outstanding matches over the course of this feud, and this should be no exception. Strowman wins while Reigns looks heroic in defeat. Everybody is better because of it. Sheamus and Cesaro vs. The Hardy Boyz (30-minute Iron Man Match for the Raw Tag Team Championship) – This one is actually the easiest match to predict on the card. Since the babyface teams of Enzo and Cass and The Golden Truth have both been broken up, there aren’t really any other “good guys” in the tag team division on Raw. It makes more sense for the Hardyz to win here, setting up possible feuds with Gallows and Anderson and The Revival. Unless WWE moves another babyface team over from SmackDown (American Alpha? ), there’s no one left for Sheamus and Cesaro to fight. The Hardyz go over. The Miz vs. Dean Ambrose (Intercontinental Championship) – Another match that should be easy to predict. Miz makes the IC title relevant. When Ambrose has it, it seems less important. I love Dean Ambrose, don’t get me wrong, but he’s much better suited as a wildcard – a guy who will fight anyone at any time, with no need for a belt as motivation. Miz can be used to get any number of other stars over. He can also be used to make the IC title a belt worth fighting for. I could see a Miz/Balor or Miz/Rollins feud later in the summer, but they have to elevate the belt a bit before putting it on one of the babyfaces. Miz is the guy to do that. Miz wins with help from his Miztourage. Alexa Bliss vs. Sasha Banks (Raw Women’s Championship) – This has potential to be an outstanding match. Bliss has been one of the brightest stars on Raw since she came over from SmackDown live. She was also one of the biggest names on Tuesdays before the shift. With Bayley presumably out of the championship mix for now, Bliss is the perfect foil for any other competitor. Banks is a better heel than face, but has done well lately as a foil for Miss Bliss. Nia Jax is still lurking in the background no matter who wins here. It’s a tossup for me, but I’ll go with Bliss to retain under questionable circumstances. 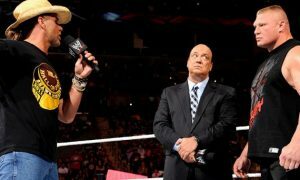 This sets up another match with The Boss, and allows WWE to get another contender ready to step up after this feud is over. 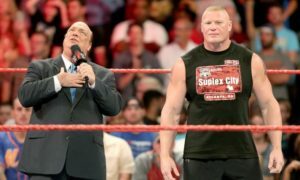 Brock Lesnar vs. Samoa Joe (Universal Championship) – Since Reigns vs. Lesnar seems to be a foregone conclusion, it would seem the outcome is obvious here. I think it’s less obvious. No doubt, the Big Dog will face the Beast Incarnate for the Universal title at some point in the future, but if it’s not until WrestleMania, Lesnar doesn’t have to go over here. Instead, WWE should capitalize on Joe’s amazing heat right now. Let Joe take the belt off Lesnar at GBOF and have Brock disappear to wherever Brock goes when he doesn’t have the belt. At SummerSlam, Reigns has already declared himself the No. 1 contender. Joe would be the champion, and Lesnar could show up and demand to be in the match. Joe escapes with the belt while Lesnar and Reigns beat each other senseless. This gives heat to their feud, and Lesnar can still come back at a different event and take the belt after demanding a one-on-one rematch with Joe. That allows Joe to carry the belt for a while, builds the animosity between Reigns and Lesnar, and keeps that feud alive until it culminates at WrestleMania. Of course, that scenario takes long term planning and storytelling. Thus, it’s more likely that Brock wins. A final note – It was awesome to hear Mauro Ranallo back on NXT last week. He and Nigel McGuinness made a great team. There have long been rumors of Michael Cole heading backstage to work in a more administrative role. This is the time to make that move. Since Jim Ross is still under contract, and Ranallo is back, the announce teams could be re-vamped. 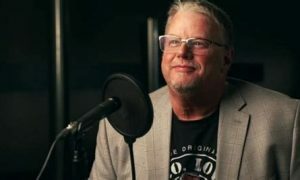 Since the three-man booth idea isn’t working, why not just put Ross with Corey Graves on Raw and have Ranallo and McGuinness work on SmackDown (and maybe NXT)? JBL’s act is stale. Booker T. makes me long for David Otunga to come back, and if Byron Saxton and Percy Watson disappeared, would anyone even notice? It’s time to shake up the booth and put the best talkers behind the mics.